Nathan Gomes received a BSc (Eng) Honours degree from the University of Sussex in 1984 and a PhD from University College, London in 1988, both in Electronic Engineering. His PhD research involved the investigation of optically delivering the local oscillator to microwave diode mixers. He was awarded a European Science Exchange Programme Fellowship by the Royal Society and spent one year at the Ecole Nationale Superieure des Telecommunications, Paris. Since the end of 1989 he has been at the University of Kent where he is now a Professor of Optical Fibre Communications. Professor Gomes leads a research team particularly focussed in the areas of fronthaul networks and radio over fibre communications. He publishes regularly in highly respected international journals such as OSA/IEEE Journal of Lightwave Technology, OSA/IEEE Journal of Optical Communications and Networks, IEEE Journal of Selected Areas in Communications, and has consistently attracted European and UK research funding. He has collaborated with industry, including companies such as Orange, BT, ADVA Optical Networking, VIAVI, in a number of these projects. Professor Gomes and members of his team have attended IEEE standards body meetings, and he is the UK-nominated expert to the IEC standards Working Group 6 on radio over fibre technologies. 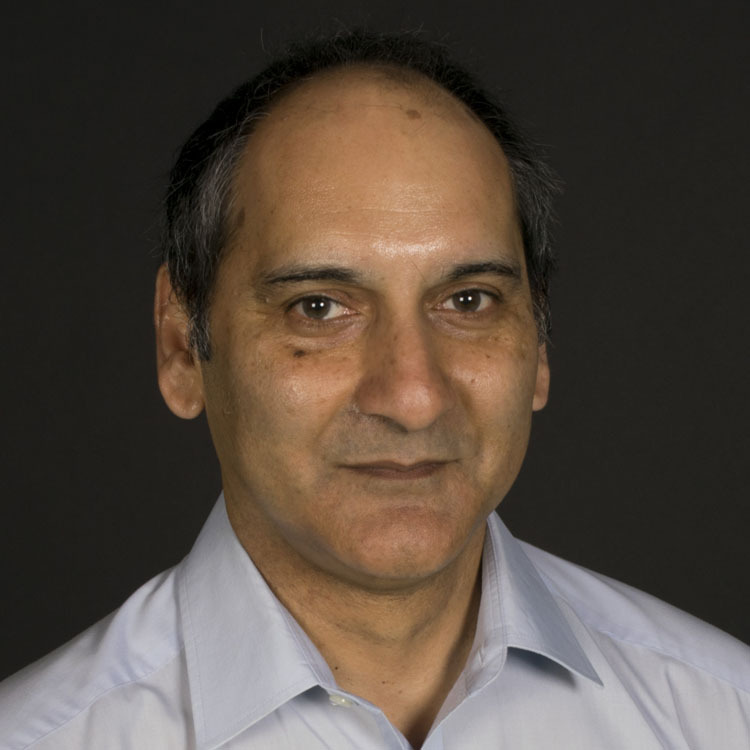 Professor Gomes is EDA’s main contact to the Engineering Professors’ Council (EPC) and sits on the EPC’s Research, Innovation and Knowledge Transfer Committee. Professor Gomes is an Academic Accreditor for the IET. Professor Gomes’s research interests are specifically in the area of the convergence between optical fibre access networks and new and emerging wireless and mobile communication systems. This area comprises work on what is now often termed the “xhaul” or new fronthaul and middle haul of 5G and beyond mobile systems, and includes both analogue and digital radio over fibre systems. More generally, he has led work in the areas of microwave photonics and optical communications. During the 2000s, Professor Gomes led the University of Kent contributions to the international Atacama Large Millimeter Array radio telescope project. This involved the development of a precision frequency source using an optical comb generator, the definition of the transport of the synchronization signals to the multiple radio telescopes over an optical distribution network, taking into account polarization drift effects, and the mitigation of polarization effects due to antenna cable wraps. He also led the University involvement in EU Networks of Excellence in radio over fibre technology (NEFERTITI and ISIS). In the EU FUTON project, he led the radio over fibre systems work package and was deputy technical manager. This project was the first to demonstrate distributed MIMO/coordinated Multipoint using a radio over fibre distribution network and outlined many of the concepts of what was later termed the cloud Radio Access Network. More recently, in the EU-Japan project RAPID-5G, distributed MIMO over a radio over fibre distribution network has been demonstrated at millimetre-wave frequencies. Professor Gomes was the coordinator and technical leader of the EU Horizon 2020 iCIRRUS  and UK EPSRC NIRVANA projects, which pioneered the proposals for the use of Ethernet in new digital fronthaul architectures. The testbed developed through these projects is being used in follow-on projects, such as the EU-China 5G project 5G-DRIVE. Showing 50 of 225 total publications in the Kent Academic Repository. View all publications. Habib, U. et al. (2019). Single Radio-over-Fiber Link and RF Chain-based 60GHz Multi-beam Transmission. Journal of Lightwave Technology [Online]. Available at: https://doi.org/10.1109/JLT.2019.2896778. An efficient multi-user transmission scheme at 60 GHz using a single-feed Leaky Wave Antenna (LWA) and hence requiring only a single Radio-over-Fiber link and single RF chain is presented. A Subcarrier Multiplexed (SCM) signal carrying the different users' data is transported over 2.2km of optical fiber and then upconverted to the 60 GHz band for transmission to multiple spatially separated users through the beam steering characteristics of the LWA. An overall sum data rate, the combined rate from all users, of 10.6 Gb/s using 16-QAM modulation serving 10 users over a transmission bandwidth of 3.05 GHz or 20 users with QPSK over 6.1 GHz span, is achieved experimentally. The theoretical sum data rates for 6.1 GHz bandwidth for different numbers of users are calculated, considering the SNR degradation due to the angularly dispersed LWA beam, showing that data rates over 30 Gb/s can be obtained. Finally, a system design that improves coverage and spectrum efficiency through operating multiple LWAs with a single RF chain is demonstrated. Wang, G. et al. (2018). Highly efficient optical beam steering using an in-fiber diffraction grating for full duplex indoor optical wireless communication. Journal of Lightwave Technology [Online] 36:4618-4625. Available at: https://doi.org/10.1109/JLT.2018.2832200. Diffraction gratings have been widely used in wavelength-controlled non-mechanical laser beam steering for high data-rate indoor optical wireless communications (OWC). Existing free-space diffraction gratings suffer from inherent difficulties of limited diffraction efficiency, bulky configuration, high cost and significant coupling loss with optical fiber links. In this work, a new optical approach for highly efficient, compact and fiber compatible laser beam steering using an in-fiber diffraction grating is proposed and experimentally demonstrated for the first time to our best knowledge. In-fiber diffraction is made possible based on a 45° tilted fiber grating (TFG), where wavelength dependent lateral scattering is obtained due to the strongly tilted grating structure. Improved diffraction efficiency of 93.5% has been achieved. In addition, the 45° TFG works perfectly for both light emission and reception, enabling full-duplex optical wireless transmission. Utility of the 45° TFG in all-fiber laser beam steering for multi-user full duplex optical wireless communications has been verified in experiments. 1.4 m free-space full-duplex wireless transmission has been demonstrated with data rate up to 12 Gb/s per beam using 2.4 GHz bandwidth OFDM signals. Habib, U. et al. (2018). Analog Radio-over-Fiber Supported Increased RAU Spacing for 60GHz Distributed MIMO employing Spatial Diversity and Multiplexing. Journal of Lightwave Technology [Online]. Available at: http://dx.doi.org/10.1109/JLT.2018.2832028. Steeg, M. et al. (2018). Public Field Trial of a Multi-RAT (60 GHz 5G/LTE/WiFi) Mobile Network. IEEE Wireless Communications [Online] 25:38-46. Available at: http://dx.doi.org/10.1109/MWC.2018.1800052. A public field trial showcasing an operational multi-Radio Access Technology (RAT) mobile network that was implemented in one of the largest shopping mall in Warsaw, Poland. The network supports novel 60 GHz 5G mobile access as well as legacy LTE and WiFi services All mobile access services of the network are interconnected via optical fiber to the data centers of a mobile network operator and an internet service provider. Fronthauling for the 60 GHz 5G hotspot radio access unit (RAU) and for LTE is realized by analog Radio-over-Fiber (RoF) via a fiber-optic distributed antenna system (DAS). The 60 GHz 5G radio access units (RAUs) for the enhanced mobile broadband (eMBB) use case and the WiFi access point (AP) are both backhauled via optical Gigabit Ethernet. The 60 GHz RAUs for the eMBB and hotspot use case feature 2D beam-switching and 1D beam-steering, respectively. Inter-RAT switching between the different mobile services with seamless user experience is achieved using a Mobile IP system with Fast Initial Link Setup (FILS). Aighobahi, A. and Gomes, N. (2016). Capacity and Error Performance Verification of Multi-Antenna Schemes in Radio-over-Fiber Distributed Antenna System. Journal of Lightwave Technology [Online]:1-1. Available at: http://doi.org/10.1109/JLT.2016.2565258. A radio-over-fiber distributed antenna system permits larger physical separation between antennas in a wireless system’s infrastructure; this investigation verifies that improved performance – lower error rates and higher capacities – can thus be achieved. In this paper, specific single-input multiple-output (SIMO), multiple-input single-output (MISO) and multiple-input multiple-output (MIMO) algorithms are compared in an experimental radio over fiber system, using user-defined processing functions for the signals. It is shown that significantly reduced symbol error rate (SER) and modestly increased capacity is achieved for a wireless 1x2 SIMO uplink using the maximal ratio combining (MRC) processing algorithm and 2x1 MISO downlink using the Alamouti space time block coding (STBC) scheme. Further, SER is reduced for a downlink 2x2 wireless MIMO using the zero-forcing algorithm while, most importantly, greatly increased capacity is achieved through the spatial multiplexing gain. Gomes, N. et al. (2015). Fronthaul evolution: From CPRI to Ethernet. Optical Fiber Technology [Online]. Available at: http://doi.org/10.1016/j.yofte.2015.07.009. It is proposed that using Ethernet in the fronthaul, between base station baseband unit (BBU) pools and remote radio heads (RRHs), can bring a number of advantages, from use of lower-cost equipment, shared use of infrastructure with fixed access networks, to obtaining statistical multiplexing and optimised performance through probe-based monitoring and software-defined networking. However, a number of challenges exist: ultra-high-bit-rate requirements from the transport of increased bandwidth radio streams for multiple antennas in future mobile networks, and low latency and jitter to meet delay requirements and the demands of joint processing. A new fronthaul functional division is proposed which can alleviate the most demanding bit-rate requirements by transport of baseband signals instead of sampled radio waveforms, and enable statistical multiplexing gains. Delay and synchronisation issues remain to be solved. Vieira, L. and Gomes, N. (2015). Experimental demonstration of digital predistortion for orthogonal frequency-division multiplexing-radio over fibre links near laser resonance. IET Optoelectronics [Online]:1-7. Available at: http://doi.org/10.1049/iet-opt.2014.0160. Radio over fibre (RoF), an enabling technology for distribution of wireless broadband service signals through analogue optical links, suffers from non-linear distortion. Digital predistortion has been demonstrated as an effective approach to overcome the RoF non-linearity. However, questions remain as to how the approach performs close to laser resonance, a region of significant dynamic non-linearity, and how resilient the approach is to changes in input signal and link operating conditions. In this work, the performance of a digital predistortion approach is studied for directly modulated orthogonal frequency-division multiplexing RoF links operating from 2.47 to 3.7 GHz. It extends previous works to higher frequencies, and to higher quadrature amplitude modulation (QAM) levels. In addition, the resilience of the predistortion approach to changes in modulation level of QAM schemes, and average power levels are investigated, and a novel predistortion training approach is proposed and demonstrated. Both memoryless and memory polynomial predistorter models, and a simple off-line least-squares-based identification method, are used, with excellent performance improvements demonstrated up to 3.0 GHz. Fan, Y. et al. (2015). Performance analysis of commercial multiple-input-multiple-output access point in distributed antenna system. Optics Express [Online] 23:7500. Available at: http://doi.org/10.1364/OE.23.007500. Abstract: In this paper, we experimentally investigate the throughput of IEEE 802.11n 2x2 multiple-input-multiple-output (MIMO) signals in a radio-over-fiber-based distributed antenna system (DAS) with different fiber lengths and power imbalance. Both a MIMO-supported access point (AP) and a spatial-diversity-supported AP were separately employed in the experiments. Throughput measurements were carried out with wireless users at different locations in a typical office environment. For the different fiber length effect, the results indicate that MIMO signals can maintain high throughput when the fiber length difference between the two remote antenna units (RAUs) is under 100 m and falls quickly when the length difference is greater. For the spatial diversity signals, high throughput can be maintained even when the difference is 150m. On the other hand, the separation of the MIMO antennas allows additional freedom in placing the antennas in strategic locations for overall improved system performance, although it may also lead to received power imbalance problems. The results show that the throughput performance drops in specific positions when the received power imbalance is above around 13dB. Hence, there is a trade-off between the extent of the wireless coverage for moderate bit-rates and the area over which peak bit-rates can be achieved. Stoehr, A. et al. (2018). Multi RAT (WiFi/ LTE/ 5G) Mobile Network featuring RoF Fronthaul, 60 GHz Beam-Switching and Mobile IP. in: 2018 European Conference on Optical Communication (ECOC). IEEE. We report on a public field trial demonstrating seamless handover in a multi Radio Access Technology mobile network supporting WiFi, LTE, and new 5G radio access in the 60 GHz band for full-duplex enhanced mobile broadband and 5G broadcast hotspots. Habib, U. et al. (2018). Radio-over-Fiber-supported Millimeter-wave Multiuser Transmission with Low-Complexity Antenna Units. in: 2018 International Topical Meeting on Microwave Photonics (MWP). IEEE. Available at: http://dx.doi.org/10.1109/MWP.2018.8552904. 1Gb/s data rate, delivering an aggregate data rate of 10Gb/s. Yamaguchi, T. et al. (2017). Output power enhancement by optical pulse compression in photonic-based RF generation - Laser linewidth and phase noise of the RF output. in: IEICE General Conference.. Available at: https://www.awrcorp.com/news/events/event/2017-IEICE-general-conference. Murata, H. et al. (2017). Millimeter-wave communication system using photonic-based remote antennas for configurable network in dense user environment. in: IEEE Conference on Antenna Measurements & Applications (CAMA). IEEE, pp. 24-27. Available at: https://doi.org/10.1109/CAMA.2017.8273413. Photonic-based millimeter-wave communication systems combined with conventional wireless systems have been proposed for the application in dense user environments like a large football stadium. By utilizing a narrow beam antenna for millimeter-wave asymmetric links, effective communication channels can be obtained. Wang, G. et al. (2017). Wavelength-controlled beam steering for optical wireless transmission using an in-fiber diffraction grating. in: 2017 Conference on Lasers and Electro-Optics.. Available at: http://dx.doi.org/10.1364/CLEO_SI.2017.SF1L.5. Passive beam steering for optical wireless transmission based on wavelength tuning using a novel in-fiber diffraction grating featuring compactness, high diffraction efficiency and inherent fiber-compatibility, is proposed and experimentally demonstrated for the first time. Habib, U. et al. (2017). Demonstration of radio-over-fiber-supported 60 GHz MIMO using separate antenna-pair processing. in: 2017 International Topical Meeting on Microwave Photonics (MWP). IEEE. Available at: https://doi.org/10.1109/MWP.2017.8168700. Coverage at millimeter-wave (mmW) frequencies is a constraining bottleneck. Spatial diversity and spatial multiplexing multiple-input multiple-output (MIMO) improve performance over a spread of user locations and these can benefit from wider antenna spacing. Radio-over-Fiber (RoF) transport provides flexibility in deploying a number of widely-spaced Remote Antenna Units (RAUs) connected to the same Central Unit (CU). Hence, mmW systems with an integrated analog RoF fronthaul are strong candidates for use in future 5G networks. An approach to measure channel coefficients individually for MIMO processing has been demonstrated in a RoF transported 2×2 MIMO system at 60 GHz. Experimental results verify this approach through real 2×2 experiments. Wang, G. et al. (2017). In-fibre diffraction grating based beam steering for full duplex optical wireless communication. in: International Topical Meeting on Microwave Photonics (MWP), 2017.. Available at: https://doi.org/10.1109/MWP.2017.8168644. A novel approach to achieve wavelength controlled optical beam steering using a 45° tilted fiber grating (TFG) for full-duplex indoor optical wireless transmission is proposed and experimentally demonstrated for the first time. The 45° TFG functions as an in-fiber passive diffraction device for wavelength steered light emission and reception, which enables full-duplex optical wireless transmission. The unique advantages of using an in-fiber TFG device for beam steering include high diffraction efficiency, low cost, compactness and inherent compatibility with existing fiber links. In a proof-of-concept experiment, free-space full-duplex transmission over 1.4 m with data rate of 9.6 Gb/s per beam has been demonstrated using 2.4 GHz bandwidth signals. Habib, U. et al. (2017). Radio-over-fiber-supported 60GHz multiuser transmission using leaky wave antenna. in: 2017 International Topical Meeting on Microwave Photonics (MWP). IEEE. Available at: https://doi.org/10.1109/MWP.2017.8305443. Simultaneous transmission to multiple users using a single-feed leaky-wave antenna (LWA) has been demonstrated. A composite signal transported through a Radio-over-Fibre (RoF) setup is upconverted to V-band frequencies and a LWA is used to direct different user data to their respective locations. An EVM analysis has been performed for two-user and three-user transmission for a range of angular locations. A performance analysis for user interference has been carried out by varying the signal spacing for 152 MHz and 305 MHz bandwidth OFDM signals, centered at 61.75 GHz after 4m of wireless transmission. The experimental results show degradation not only due to insufficient frequency spacing between the channels but also when the sidelobe interference of the neighboring data channels is higher. Habib, U. et al. (2017). Performance Improvement for OFDM-RoF Transported 60 GHz System using Spatial Diversity and Multiplexing. in: 2017 IEEE International Conference on Communications Workshops. pp. 211-216. Available at: https://doi.org/10.1109/ICCW.2017.7962659. 60 GHz system architectures with Radio over Fiber (RoF) transport and integrated transmitters/receivers provide a comprehensive solution for future mobile systems. Since 60 GHz communication relies on line-of-sight (LoS) conditions and narrow-beam antennas to compensate the high path-loss, it has limitations in terms of coverage for multiple user locations. In this paper, performance analysis of a 60 GHz integrated transmitter and receiver system supported by RoF transport has been performed experimentally at different user locations for up to 1.5m transmission distance. Extension of experimental results to prove feasibility for longer distances has been shown with a simulation model, whose results at various shorter distances have been benchmarked against the acquired experimental results at different user locations. A modified version of the Saleh Valenzuela channel has been used to model the millimeter wave (mmW) LoS indoor experimental environment. Furthermore, as a proof of concept, we present an experimental analysis demonstrating an improvement in performance of the proposed RoF based 60 GHz system using spatial diversity and multiplexing. Channel measurements at different transmitter/receiver locations and their processing have shown that an improvement (decrease from 12.5% to 10.5%) in Error Vector Magnitude (EVM) can be achieved using the Alamouti Space Time Block Coding algorithm. Then it has been shown that a two-fold data rate increase can be obtained by combining data from two transmitter locations using the Zero Forcing algorithm. Gomes, N. et al. (2016). A Flexible, Ethernet Fronthaul for 5th Generation Mobile and Beyond. in: Optical Fiber Communication Conference 2016.. Available at: http://dx.doi.org/10.1364/OFC.2016.W3C.1. are challenges that must be overcome. Habib, U. et al. (2016). Radio over fiber transport of mm-wave 2×2 MIMO for spatial diversity and multiplexing. in: Microwave Photonics (MWP), 2016 International Topical Meeting on. IEEE. Available at: http://dx.doi.org/10.1109/MWP.2016.7791280. DWDM-RoF transport and photonic generation of millimeter-wave MIMO signals has been demonstrated. Generation and modulation of independent data streams over different wavelengths provides allocation flexibility and centralization. EVM results show that this low-cost technique provides antenna diversity/multiplexing gain for STBC-Alamouti and Zero-Forcing algorithms based OFDM-MIMO. Vieira, L. and Gomes, N. (2015). Clipping and predistortion for compensation of OFDM-Radio over Fiber link distortion. in: 2015 IEEE International Conference on Communications (ICC),. IEEE, pp. 977-981. Available at: http://doi.org/10.1109/ICC.2015.7248449. A combined clipping/predistortion scheme is proposed and demonstrated for the distortion compensation of OFDM-Radio over Fiber links at baseband. In this scheme, a memory-polynomial-based predistorter and a simple amplitude clipping method are used. No specific filter is used after the clipping function, which reduces the implementation complexity. Experimental results confirm that the proposed approach gives significantly better performance compared to the digital predistortion (without clipping) approach for highly distorted OFDM RoF links. Changes in the OFDM signal's PAPR through the RoF link are analysed for the predistortion schemes with and without clipping. As a result of this, a way of optimizing the performance of the clipping/predistortion approach is proposed. Yigal, L. et al. (2018). Radio technologies for 5G using Advanced Photonic Infrastructure for Dense user environments - D321 Report on Beam Steerable Directive Antennas. EU-JAPAN H2020 project - RAPID5G Consortium. This deliverable reports the beam-steering architecture implementation in the RAPID 5G. Various beam-steering antenna methods are reviewed and several are chosen for implementation. The construction of the antenna for each of the chosen methods and measurement results for the constructed prototypes are reported.